CHICAGO, IL, November 18, 2013 – Opponents have been finalized for the undercard of Friday, December 6′s, “World Championship Boxing: Wlodarczyk vs. Fragomeni 3″ event, featuring WBC Cruiserweight Champion Krzysztof “Diablo” Wlodarczyk (48-2-1, 34 KOs) of Warsaw, Poland, making the sixth defense of his title against Milan, Italy’s former WBC Cruiserweight Champion Giacobbe “Gabibbo” Fragomeni (31-3-2, 12 KOs). CHICAGO, IL, November 4, 2013 — A long list of local favorites will highlight the massive undercard for the Friday, December 6, “World Championship Boxing: Wlodarczyk vs. Fragomeni 3″ event, featuring WBC Cruiserweight Champion Krzysztof “Diablo” Wlodarczyk (48-2-1, 34 KOs) of Warsaw, Poland, making the sixth defense of his title against Milan, Italy’s former WBC Cruiserweight Champion Giacobbe “Gabibbo” Fragomeni (31-3-2, 12 KOs) and the return of Chicago’s Polish Prince, Andrzej Fonfara (25-2, 14 KOs). 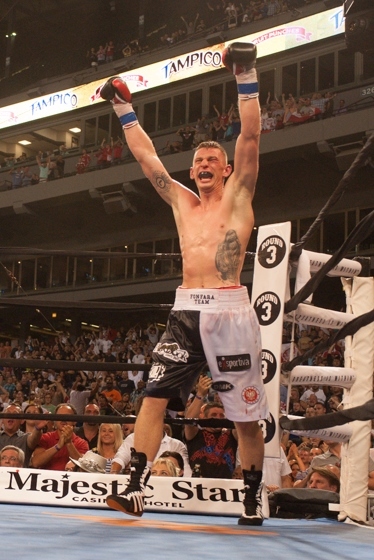 U.S. Cellular Field Serves Up Home Runs as Fonfara KO’s Campillo, Granados Stops Salser and Szpilka Stops Mollo! CHICAGO, August 16, 2013 – It was fitting retribution. The International Boxing Organization said they’d strip him of their title for tonight’s unsanctioned fight and the International Boxing Federation jumped in, christening it as an eliminator for their crown. Then, Andrzej Fonfara went out and bludgeoned Gabriel Campillo inside eight rounds before an estimated 15,000 at U.S. Cellular Field. So much for politics. A native of Warsaw, Poland residing in Chicago, Fonfara (173 lbs., 24-2 and 14 knockouts) sets a pattern in the first round. He’s throwing hard, hurtful and straight blows at Campillo (175 lbs., 22-6-, 9 knockouts) a wily contender hailing from Madrid, Spain, who fires back in spots. 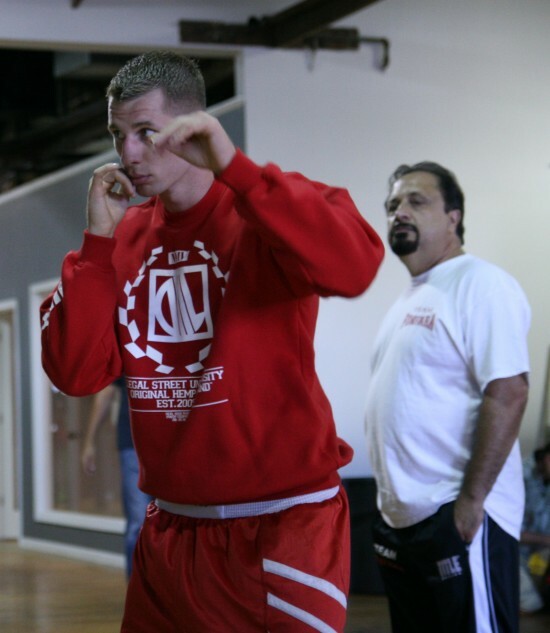 Fonfara, Local Boxers to Train in Boxing Ring on Michigan Avenue This Tuesday, July 30th! CHICAGO — This upcoming Tuesday morning, JULY 30, professional boxers who will be appearing on the sensational “BIG FIGHT 2″, ESPN FRIDAY NIGHT FIGHTS AT U.S. CELLULAR FIELD card will hold public workouts on the world renowned “Magnificent Mile” on Michigan Avenue.